Dave Patton's 1924 Ford Model T Roadster, of San Marino, California was channeled 4 inches. Louis Banto and Sal Macchia's 1927 Ford Model T Roadster of Los Angeles, California was completed around 1949/1950. The body was channeled 3 inches over a 1932 Ford frame. Louis Banto and Jack Perre's 1927 Ford Model T Roadster of Los Angeles, California was completed around 1951/1952. The body was channeled 3 1/2 inches over a 1932 Ford frame. Dean Batchelor's 1927 Ford Model T Roadster of Sherman Oaks, California. Dean's roadster was channeled 6 inches over a 1930 Ford Model A frame. 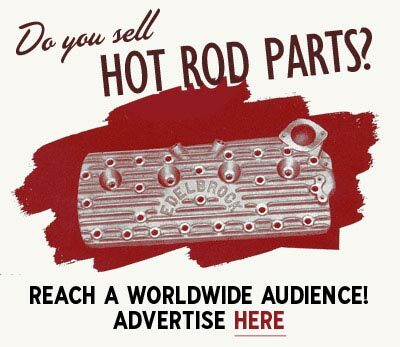 The Cam Snappers of Newburyport's 1930 Ford Model A roadster was owned, built and raced by the Cam Snappers of newburyport car club of Newburyport, Massachusetts. The build was completed in 1954 featuring a channeled body. Junichi Shimodaira's 1930 Ford Model A Tudor Sedan of Nagoya, Japan. The car, known as Rod Riguez was built by Junichi at his shop Paradise Road. Rod Riguez was heavily channeled over a Z'ed frame in order to get the car as low as possible. Bengt Wennergren's 1931 Ford Model A Roadster of Enskedefältet in Stockholm, Sweden was built by Bengt between 1962 and 1966. The body was channeled 6 inches over a 1932 Ford frame. Martin Oja's 1931 Ford Model A Coupe of Sault Ste. Marie, Ontario, Canada. The build was started in 1960 and completed in 1962. The body was channeled 6 inches over the frame. Bob Hagerty's 1931 Ford Model A Tudor Sedan of Wheaton, Maryland. Bob, who was a member of the Coach Masters of Wheaton, built the car himself. The build took two years, and it was completed in 1964, featuring a 13 inch channeling. Bob's tudor was shown on the East Coast as "Jade East." Norman Kopp's 1932 Chevrolet Coupe of Beloit, Wisconsin. Originally owned and built by Norman's brother, the first running completion was in 1958. The build was completed in 1961. Norman was a member of the Road Gents of Beloit car club. Norman's coupe was fully chopped and channeled. Bill Kelly's 1932 Ford 3-Window Coupe of Warminster, Pennsylvania. The first version of the coupe was built in 1948. The body was channeled over the frame, and the top was kept unchopped. Charles Crowther's 1932 Ford Roadster, of Maryland. Johnny Bierfeldt's 1932 Ford Roadster, of Norwalk, California was a Long Beach Qualifiers car. It was painted by Bart Root and upholstered by Don Hudson. Laverne A. Stetzer's 1932 Ford 5-Window coupe of York, Pennsylvania. The car, known as the York Coupe was built by Glen "Rudy" Rudisill and his father at G.E. Rudisill & Sons in 1957. The body was channeled over a Z'ed frame. The top was kept unchopped. Bruce Olson's 1932 Ford 5-Window Coupe of Beach, North Dakota. The first version of Bruce's coupe was completed in 1955, featuring a channeled body. Bruce channeled it 6 inches up front, and 8 inches in the rear. Don Broyles' 1932 Ford roadster of Dayton, Ohio. The channeled roadster car was originally built in 1951. Allan Fielding's 1932 Ford 5-Window Coupe of Burriville, Rhode Island. Allan traded the car for a 1951 Oldsmobile around 1955. The coupe had already been hot rodded when Allan got it, and it ran a channeled 1932 Ford chassis. Allan and his friends George Summers and Ronnie Bouchard installed a 1934 Ford chassis and a Hemi in the car before they got it back on the strip. The body was channeled 12 inches over the frame. Pascal Bandelier's 1932 Ford Cabriolet of Bernex city in Geneva, Switzerland. Pascal is a member of the Cheaters car club, and his cabriolet is an old survivor build with roots going back to Texas. The body was channeled over the frame back in the days. Ray Ellis' 1934 Ford 5-window coupe of Sydney, New South Wales, Australia. The build was started in 1966, and completed in 1972, featuring a channeled body. Rick Menz' 1934 Ford Tudor-Sedan of Sepulveda, California. Rick began building the car in 1960. 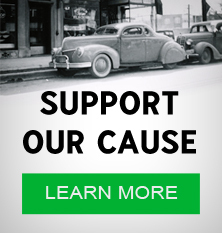 At the time he was a member of the Chancellors of Van Nuys car club. The body was channeled over the frame with a forward rake. He sold the Ford in 1962 before the build was completed. Bruce Brown's 1936 Ford of San Mateo, California. Bruce's Ford was restyled in the 1940s, sometime prior to 1948. It featured a channeled body. Sebastian Rubbo's 1936 Ford Roadster of Massachusetts. Sabie started working on the roadster at age 23, in 1945. He had just gotten out of the Navy, and was inspired by the cars he saw racing at the dry lakes near where he was stationed in Southern California. The build was completed in 1946, featuring a 6 inch channeling. Alf Rasmussen's 1936 Ford of Bergen, Norway. Alf bought the chopped, channeled and sectioned car from a British or American pilot in Bergen in 1951 or 1952. The pilot had worked in the Independent Norwegian Brigade Group in Germany after WWII, and was now returning home to his girlfriend. Augustus Eberman's 1941 Chevrolet Coupe of Geneva, Wisconsin. The build was completed circa 1961, and it is believed to be designed by Brooks Stevens. The body on the car was shortened, sectioned and channeled. Jimmy Summers' 1940 Mercury convertible of Hollywood, California. The build was completed in 1946, featuring a 6 inch channeling job. Al Andril's 1940 Mercury Coupe of Maywood, California. Al's Merc was restyled by Barris Kustoms in 1948 at their Compton Avenue shop. The body was channeled over the frame. Johnny Zaro's 1940 Mercury Coupe of Maywood, California. 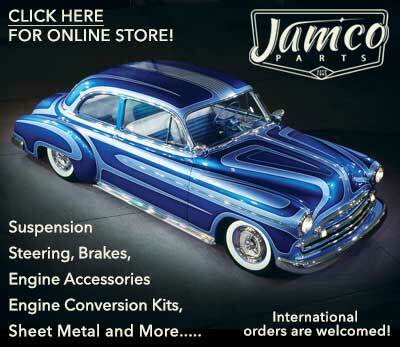 Johnny's Merc was restyled by Barris Kustoms in 1948 at their Compton Avenue shop. The body was channeled over the frame. Paul McGill's 1940 Ford Convertible was restyled by Clusters of Grays Harbor member Paul McGill, of Aberdeen, Washington, in the early 1950s. The body on Paul's Ford was channeled 6 1/2 inches over the frame. Conrad W. Jacobs' 1932 Ford 3-Window Coupe of Baltimore, Maryland was built around 1956-1958. The body on Conrad's coupe was channeled 7 inches. Ron Maxwell's 1934 Ford 5-Window Coupe of Salt Lake City, Utah. The build was started in 1954, when Ron was 15 years old. The first iteration of the coupe, featuring a 3 inch channeled body, was completed in 1955. Ron's coupe ran under flathead and later Cadillac power, competing in B/Altered at strips around Utah. Darrol Finger's 1934 Ford 5-Window Coupe of Wantirna in Victoria, Australia was channeled 8 inches. John Vara's 1941 Ford Convertible was restyled by Barris Kustoms in 1948. The body on John's convertible was channeled 8 inches. Darry Harvey's 1934 Ford Roadster of Melbourne, Australia was channeled 9 inches. Joe Brienza's 1929 Ford Model A Coupe of West Islip, New York was built in 1954. Joe channeled the body of the coupe 10 inches over the frame. Joe Brienza's 1934 Ford Convertible of West Islip, New York was completed in 1958. The body was channeled 14 inches over the frame. Glenn Johnson's 1937 Ford Coupe of Las Vegas, Nevada. The build was started in 1947, and completed it in 1951. The body on Glenn's coupe was channeled 6 inches. Bill Pearce's 1939 Ford Convertible of Hacienda Heights, California. Bill's Ford was restyled in the late 1940s or early 1950s. During the restyling, the body was channeled over the frame. Harry Keiichi Nishiyama's 1939 Ford convertible of Hilo, Hawaii. Harry's chopped and channeled Ford was built in 1949. The body was channeled 6 inches over the frame. Arthur Lellis' 1939 Ford Convertible of Los Angeles, California. Restyled by Art at Art & Jerry Custom Shop, the build was completed in 1946. The body on Art's Ford was channeled 4 inches over the frame. Jerry Moffatt's 1939 Ford Convertible of Los Angeles, California. Restyled by Jerry at Olive Hill Garage, the build was completed in 1946. The body was channeled 6 inches over the frame. Nick De Simon's 1940 Ford coupe of Jersey City, New Jersey. Nick worked for his dad at De Simon Auto Body, and he was a very talented body man and fabricator. The build was completed around 1957. Bob Creasman's 1940 Ford coupe of Los Angeles, California was channeled 4 inches.. Bob began restyling the car late in 1943, making it the first 1940 Ford coupe to be channeled, and the second to be chopped in the Los Angeles area. The work was done in conjunction with the Brand Brothers Body Shop in Los Angeles. Ted Graziano's 1940 Ford Sport Custom, of Cranston, Rhode Island. Jack Telnack's 1941 Mercury Convertible of Detroit, Michigan. The build was started in 1954 and completed in 1955. After the build was completed, Jay moved to California, attending the Art Center Design School. He sold the car in California in the latter part of the 1950s. Jay went on to become head designer at Ford Motor Company where he is credited for the Taurus and the Sable. The body on Jay's merc was both sectioned and channeled. Jack Crabbs' 1948 Buick Roadmaster of Bettendorf, Iowa. Known as the "Black Flame", ack's intent was to build and market a low scale production custom car for wealthy people, like the Kurtis Cad and the Muntz of the same time. The build was started in 1953 and completed in 1956. It was restyled by Dunshee's Body Shop, who channeled the body 3 inches. Martin S. Papazian's Cordster of Worcester, Massachusetts. The first version of Martin's Cordster was completed in 1953. In 1955 the top was chopped and the car was fit with a widened laydown windshield from an MG. Martin’s objective in building the Cordster was to produce a “Sports Custom” family car. He felt that the two seater sports cars of the day were limited to people that could afford to own two cars, so he set out to create his own. The body on the Cordster was channeled 2 inches. George Barris' 1955 Chevrolet truck, the Kopper Kart, was built as a promotion vehicle for Barris Kustoms of Lynwood, California. The build was completed in 1957. The body was channeled 8 inches over the frame. Dave Stuckey's 1965 Pontiac Catalina of Wichita, Kansas was restyled in 1969. The car was Dave's personal driver, and it was channeled 2 inches. Channel - to lower the body by cutting out the floor, spreading the body, and dropping it around the frame rails. According to Motor Life May 1955, Jimmy Summers is credited for the first body channeling. 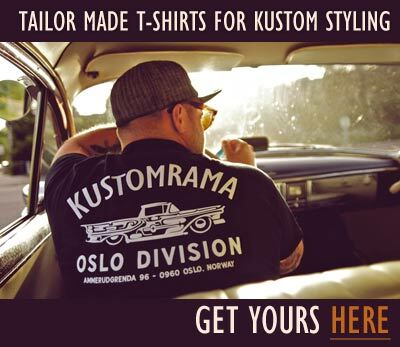 Subscribe to our newsletter and receive updates on Channel and other subjects featured on Kustomrama. If you have additional information, photos, feedback or corrections about Channel, please get in touch with Kustomrama at: mail@kustomrama.com. This page was last edited on 20 March 2019, at 14:48.